Are you a reader? I would say I'm a bit of a forced reader. I love reading, I taught reading to first graders for five years, I read constantly to my little boys, but when it comes time for me to read something for myself, I have to almost force myself to do it. I have been trying to set aside a few minutes before bedtime to read. It's been so nice, and I'm wondering why I don't do it more often. 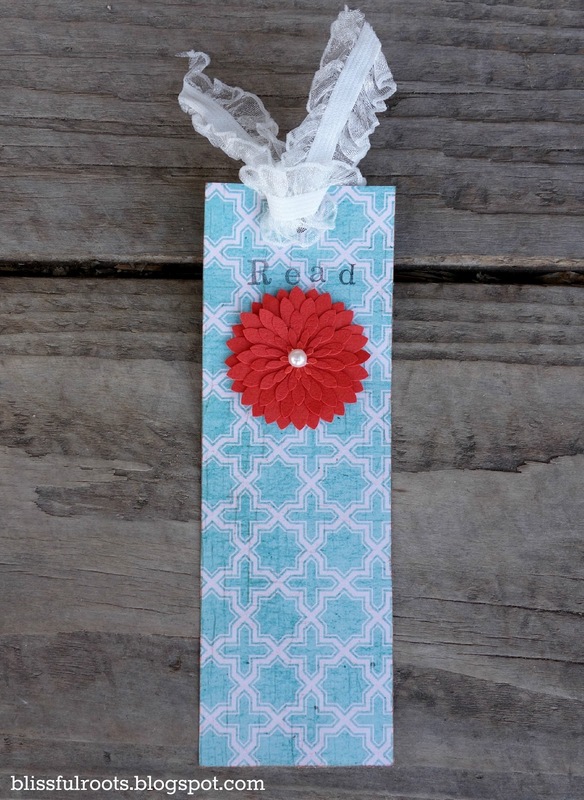 I also enjoy reading more when I have a cute bookmark to use. I'm the same way with writing. I'll do it a lot more often when I have a cute notebook and pen. 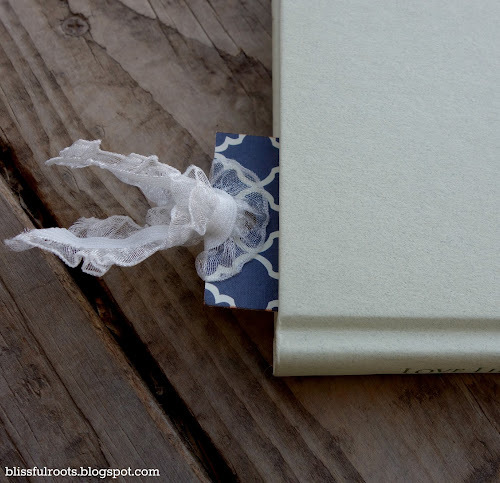 Don't they look so cute poking out of the top of the book? 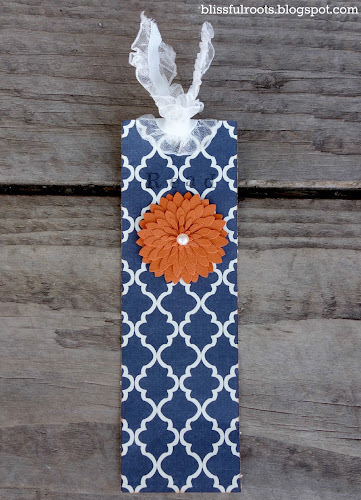 Speaking of cute bookmarks, check out Sarah's cute pom pom bookmarks over at Alderberry Hill. I'm going to have to make some of those next. I like to use an elastic ribbon for the top because it will stand up and not just flop to the side or back. All the flowers on my bookmarks came from Martha Stewart. I found them in the sticker section at Michaels. I attached the little pearls in the middle of the flowers with hot glue. I found them at Walmart, also in the sticker section. I stamped the word 'Read' on the bookmark with my alphabet stamp set (it's a bit hard to see on this navy blue one). 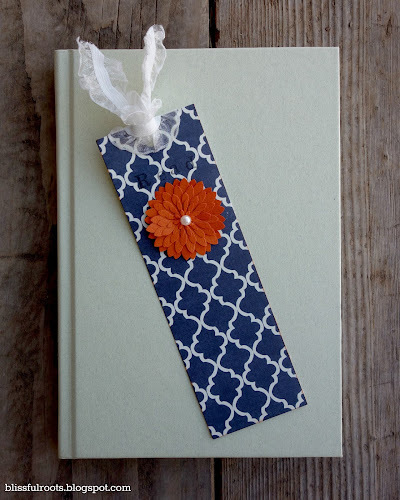 You could print right on your bookmark, or write it yourself if you don't have a stamp set. 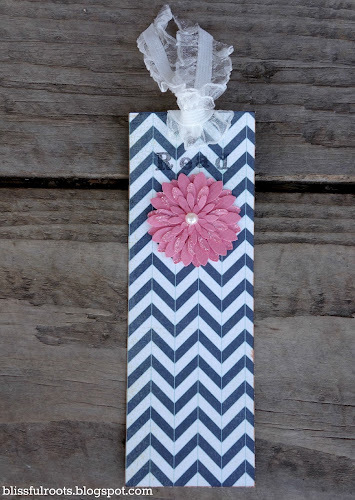 I also Mod Podged the front and back of my bookmark before I punched the hole, added the ribbon, or attached the flower. It helps the bookmark be a bit more durable. 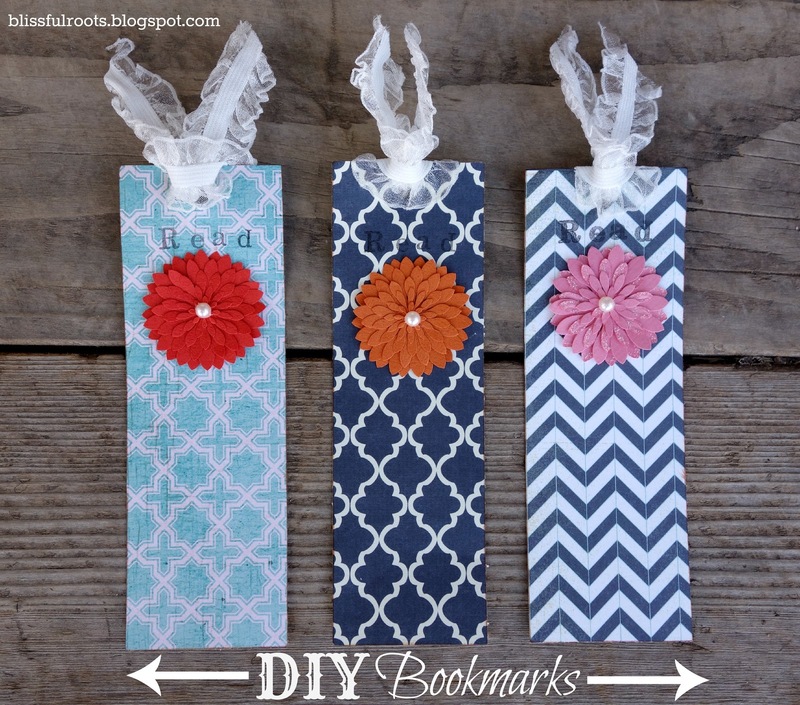 For more details on the how to of these bookmarks, you can click here. By the way, right now I'm reading Sarah's Quilt by Nancy E. Turner. It's the second in a series of three. I've really enjoyed this series so far, and would highly recommend them! Beautiful design . All of image amazing . Thanks for share this blog. Hi Brokee, Thanks a lot for your wonderful post. Your ideas are really so effective. Thanks again.